It is with great regret that we announce the passing on January 25, 2019 of Professor Emeritus Scott Eddie. Cremation has taken place, and there will be a service at St. Matthias Church, 45 Bellwoods Avenue, Toronto, at 2 p.m. on Saturday, February 16th, 2019. In lieu of flowers, please make a donation to Scott's favourite charity Doctors Without Borders or a charity of your choice. We extend our condolences to Scott's wife, Sharon, to his children David, Kathleen and Paul, and to all family and friends, who will sorely miss his sense of humour, stoicism and grace. From his longtime colleague Professor Varouj Aivazian comes this summary of Scott's career, followed by the obituary from the Toronto Star and a reflection on his personal and professional contributions from historian Professor Emeritus Robert Johnson of the University of Toronto's Munk School of Global Affairs. Scott Eddie was Professor of Economics, Emeritus, at the University of Toronto where he taught from 1971. He was also cross-appointed to Erindale College (now UTM). Scott was also affiliated with the University of Toronto’s Centre of Russian and East European Studies, the Munk School, and Trinity College. Scott was born in 1935 and grew up in Minnesota. He completed his Ph.D. at MIT in 1967, specializing in economic history. Scott authored a number of books and numerous articles resulting from his research on the economic history of Central and Eastern Europe and the economics of transition from central planning to a market economy. Before coming to Toronto, Scott held teaching appointments at Williams College, the University of the Philippines, and the University of Wisconsin, Madison. He also held, over his career, many visiting appointments in Universities in the United States, in England and in Continental Europe. Among his academic honours are a Guggenheim Fellowship and election to a Visiting Fellowship at All Souls College, Oxford. Scott was passionately interested in the fate of Hungary and Eastern Europe. In 2006, he was presented with a lifetime achievement award from the Rakoczi Foundation of Toronto in recognition of his scholarship on Hungary, and his charitable activities there. His research on economic history and transition economics took him on numerous occasions to Austria, the former Czechoslovakia, Germany (including the former German Democratic Republic), Hungary, Poland, Romania, Russia, and the former Yugoslavia. Earlier in his career, he carried out research on land reform and land settlement in the Philippines, Taiwan, Indonesia, Sri Lanka, India, and Nepal. Despite his failing health in the last several years, Scott always maintained his characteristic cheerfulness, great sense of humour, zest for life, and strong interest and affection for his colleagues and friends. 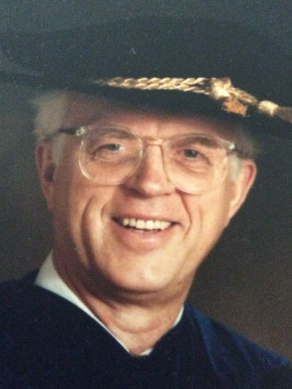 EDDIE, Scott M. 1935 - 2019 Peacefully in his home January 25, 2019, Professor Scott Eddie passed away. Despite his long-term illness, he was happy right until his last night, spent the night watching TV, joking with loved ones and holding hands with his mother-in-law. Scott leaves behind his wife Sharon who loved and took great care of him until the end, along with Sharon's mother Bernadette (who bucked the cliché of mother-in-law by calling Scott her "best friend") and Sharon's sister Linda (Dale); his sister Mary Kay (Jake); his first wife Lorraine; his three grown children David, Kathleen and Paul, along with their spouses Pam, Alan, and Joseph, who loved their father-in-law; his grandchildren Nick, J.J., Adam, James, Nellie and Daniel; and his nieces and nephews Mark, Kim, Scott and Kal. Scott grew up in Fairmont, Minnesota and attended the University of Minnesota. He interrupted his studies to join the army; a move his mother Kate said "made him a man". When he returned to university, he buckled down, even wearing a jacket and tie to take exams, believing it improved his intellectual performance. He must have done something right, because he won a scholarship to the Massachusetts Institute of Technology, becoming a Fulbright scholar. He was such a brainiac he would correct his professors (MIT professors! ), once saying to one of them about a formula: "You know, there's an easier way." He got up, demonstrated how – and was right. A man who loved to travel, he went on to teach Economics at various universities around the world, finally landing at the University of Toronto, where he was first professor then Professor Emeritus, staying in Toronto the rest of his life. He had a big brain, but also a big heart. Everyone he encountered, from friends and family to his beloved community at St. Matthias Church and onwards, was struck by his courage, stoicism, cheerfulness, sense of humour, grace and all-around nice-guy-ness, even those he had relatively minor dealings with – like his banker, broken up at news of his death. All are bereft. All feel the world will be a lesser place. He will be sorely missed. He had, at MIT, studied with the eminent economic historian, Russian-born Evsey Domar; this gave him a broad expertise about the agricultural economies of Eastern Europe. I too was studying peasant agriculture and patterns of landowning in feudal and post-feudal economies—albeit through a different lens. We found a great deal to talk about, and I cannot overstate the pleasures of those conversations. He was always generous with his time and keenly curious about all the issues we were both studying. But he was also knowledgeable and enthusiastic about countless other matters. A lively sense of humour and irreverence were among his defining traits. He became a friend and a mentor. Scott was one of the leading lights in the field of what has sometimes been called cleometrics—the refined use of statistics and statistical methods in the study of history. This was another field in which I turned to him for assistance in my own research. Once again I encountered the same collegiality, the same zest for historical study, the same ability to turn what could have been arcane study into a quest of broader significance. Still later, during my term as Director of the then-Centre for Russian and East European Studies, he served as a member of the Steering Committee. The Centre in those days was redefining its teaching and research program to address the multiple opportunities and challenges of the post-Communist transition. Scott’s sound advice and good nature helped to keep the Centre on track through a very turbulent decade. The range of his scholarly publications is far too long to enumerate here. He was a giant in his field. But I think it is also accurate to say that, no matter how specific or narrow his research focus may have been at a given moment, he never lost sight of the larger implications, the bigger picture into which the pieces fit. He was always passionately interested in the fate of Hungary and Eastern Europe—an interest that carried up to the present day. He will be remembered for his expertise, but even more for the deep ­­­­affection that he inspired among all his colleagues. We will miss the pleasure of his company.